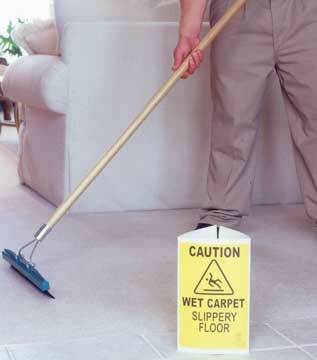 The Grandi Brush gives the carpet a finished grooming after cleaning to render a “like” new appearance. This hi-impact nylon brush is perfect for those occasions where brushing or light agitation is desired. Great for extremely soiled or matted high-traffic areas where raising the fibers will assist the cleaning process. The Grandi Brush™ is a single row of fine nylon fibers specially designed to make it perfect for Oriental rugs, Persians and Velvets, as well as commercial grades such as Berbers and low level loop carpets. Works best on looped, multi level or low compact carpeting. A single row of fibers anchored in a channel of steel creates durability and deep penetration for maximum grooming effectiveness. With the Grandi Brush, you can agitate pre-sprays as well as protectors into the carpet to get the optimum performance from them.